QUETTA: At least 13 people, including a police official, were killed and 25 others injured in a ‘suicide’ explosion in Balochistan’s Jhal Magsi district Thursday evening. The explosion took place in Gandawa area of the district outside Dergah Fatehpur shrine as Urs celebrations were underway, officials said. DPO Jhal Magsi said a constable was killed while attempting to stop the suicide bomber from entering the shrine. “Police grabbed him and the suicide bomber exploded himself,” he said. The death toll and nature of the blast was also confirmed by Balochistan government spokesperson Anwarul Haq Kakar. “We have confirmed reports it was a suicide attack,” he said. “The suicide bomber struck outside the shrine at a time when it was packed with people, attending anniversary celebrations of Syed Cheesal Shah,” government official Asad Kakar said. Members of Sunni and Shia sects visit the shrine daily, with attendance climbing significantly during festivities. 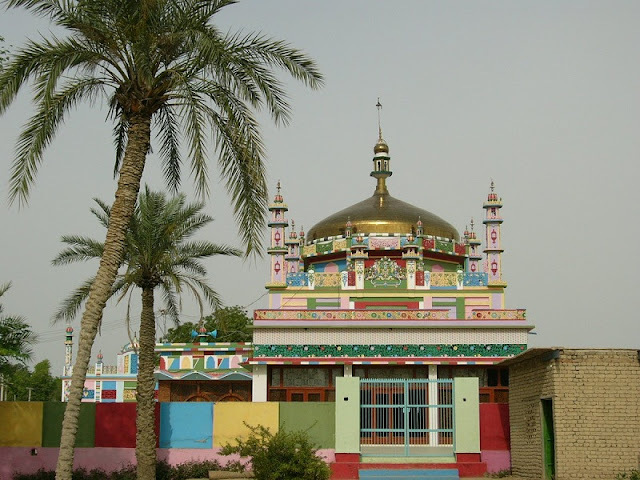 Earlier this year, at least 72 people were killed and over 200 injured when a suicide bomber struck in the midst of devotees at the shrine of Lal Shahbaz Qalandar in Sindh’s Sehwan town. Sectarian and separatist violence in the province has claimed thousands of lives in Balochistan over the past decade. At least 13 people, including a police official, were killed and 25 others injured in a ‘suicide’ explosion in Balochistan’s Jhal Magsi district Thursday evening.